Photo courtesy of Sharon Hayes. Thank you for tuning into the Tru Story blog series: About Elbert Williams. Beginning in June, I began to address circumstances surrounding related to one of the nation’s forgotten heroes, Elbert Williams. June 20 marked the 75th anniversary of his brutal murder of Elbert Williams in rural Brownsville Tennessee. 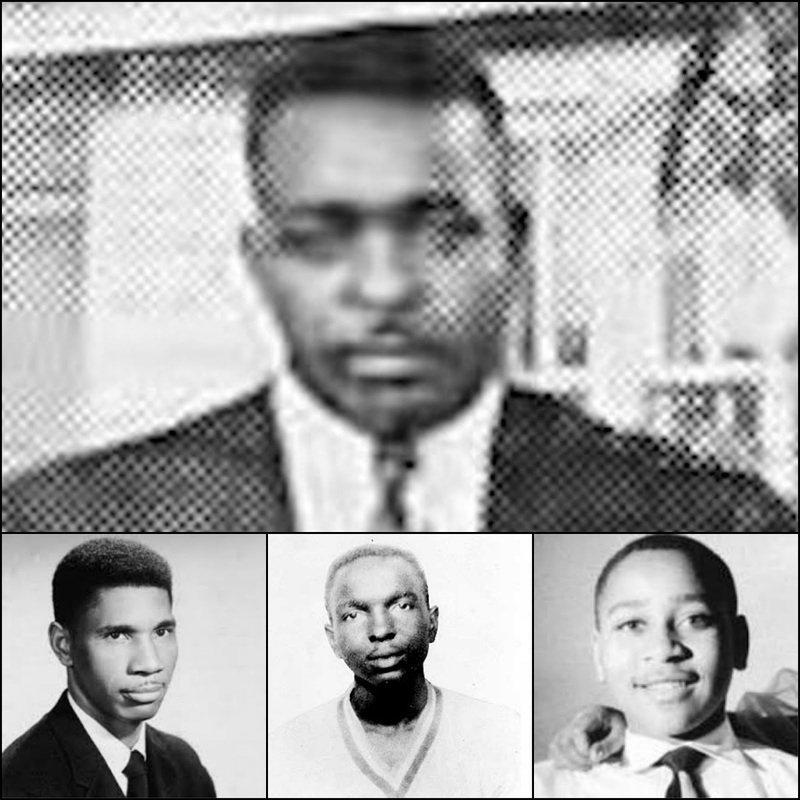 Elbert was a 31 year old, charter member and secretary of the National Advancement of the Association of Colored People (NAACP) in Haywood County,Tennessee. His contributions were recognized in downtown Brownsville on Saturday, June 20. Although I hold a personal connection with all of the series on Tru Story, this one is especially personal as Elbert Williams was my Uncle. This first blog post in the Tru Story Exclusive series was written by guest blogger, Jim Emison, a retired attorney and cold case investigative lawyer turned author. This blog post, A Seventy Five Year Old Lie, is the second of two parts. Elbert Williams is shown on the top row. James Chaney, and Emmet Till. After the initial shock of hearing from the Cold Case Investigative Lawyer, Jim Emison, in January I went to my grandmother to let her know that there was finally someone who was going to pursue justice for Uncle Elbert. I didn’t receive the response I had expected. Apparently, contact had already been initiated to reach out to my grandmother as well as several cousins, none of whom were interested in talking with the lawyer or answering his questions. I didn’t initially understand why everyone wasn’t ecstatic to be a part of this movement. One week after speaking with Attorney Emison on the phone, he and historian John Ashworth drove up from Tennessee to meet and interview me. At our first meeting, I was given a large picture of the 1939 Chapter of the NAACP in Brownsville, where Uncle Elbert stood proudly to the left. Until this point, I had never seen a picture of him. I showed grandma and she only seemed half interested. Later that week, I came over to get a copy of her childhood stories that she had put together years back. During that visit she shared the family bible, with all the official birth and death entries written in my great grandmother’s handwriting and pictures I hadn’t seen before. We didn’t talk about Uncle Elbert, just combed through pictures while she told me a story connected to each picture. It would be weeks before my grandmother lashed out about why she didn’t want anything to do with the efforts to honor Uncle Elbert. She spoke of all the terrors she had to deal with as a child in Brownsville. The frequent lynchings and threats, the constant fear, the torment her mother went through until her dying day remembering what they did to her brother, and so much more. What was most memorable about her outburst is that she did not seem to be my wise, calm, grandmother that speaks from experience and love. Instead it was like watching a 9 year old girl express her feelings of fear and pain through the body of a 84 year old woman. It was all starting to make sense now. Our family was still holding on to a lot of fear surrounding the lynching of Uncle Elbert. In fact, fear had been passed down all the way to my generation. Except the fear that was passed down to my generation was handed over without explanation. In reading through the literature I received from Mr. Emison and Mr. Ashworth, I realized that not just our family had suffered from this hand-me-down fear. For instance, it would be 21 years after the lynching of Elbert Williams before another group of people felt brave enough to start another local chapter of the NAACP. For 75 years there had been mystery, pain, and shame around the death of Elbert Williams. Initial press reports by main stream media offered ridiculous rumors about Elbert Williams as possible reasons for his death. Rumors of infidelity to flirting with a white co-worker surfaced. Even after numerous witnesses came forward and Thurgood Marshall came to investigate, newspapers refused to print the truth. 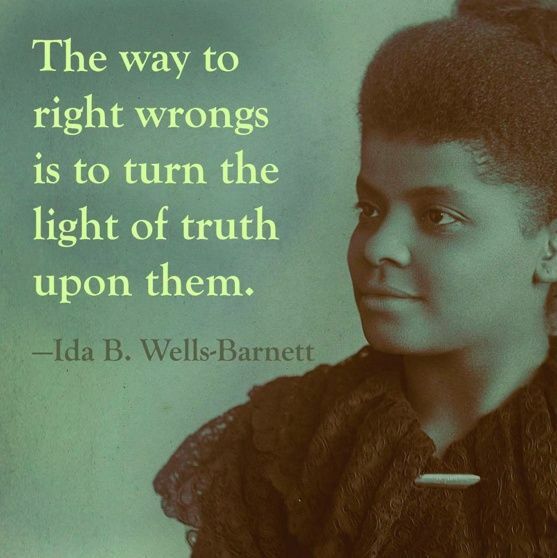 But, over the past year, great efforts have been made to shed light on exactly what happened to the first civil rights worker to be killed. One of the first steps in this process was obtaining the unredacted FBI files which documented. Soon thereafter a committee was formed to put together a commemorative event for Elbert Williams. 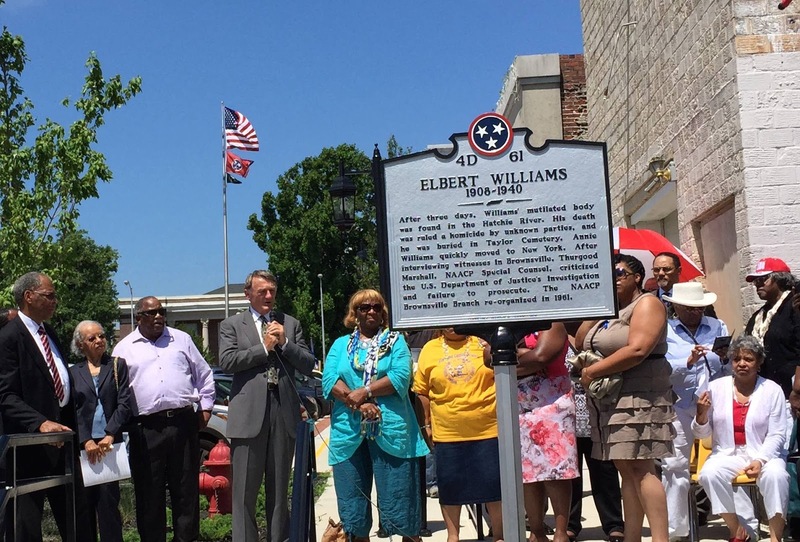 The goals were simple: to begin a dialogue for racial healing within the community, to have the memorial service that Elbert Williams never received, and to have a historical marker placed in downtown Brownsville, Tennessee in his honor. These goals were achieved on June 20, 2015. There is still much more to do, that is happening, and that will happen…but I can feel the impact of what has already been done right now. Elbert Williams Memorial Commemoration Scenes from John Ashworth on Vimeo.